legend, fighting for survival through the 1798 rebellion that started it all. 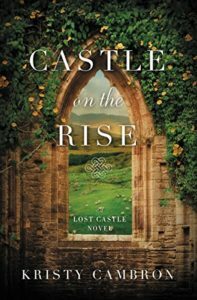 Spanning more than two centuries, Castle on the Rise unites the legacy of three women who must risk mending the broken places within—for life, love, and the belief that even through the depths of our pain, a masterpiece of a story can emerge. Kristy Cambron is an award-winning author of Christian fiction, including her bestselling debut The Butterfly and the Violin, and an author of Bible studies, including the Verse Mapping Series. She is a passionate storyteller who travels to speak at ministry events across the country, encouraging women to experience a deeper life in the Word through verse mapping. Her work has been named to Publishers Weekly Religion & Spirituality TOP 10, Library Journal’s Best Books, RT Reviewers' Choice Awards, and received 2015 & 2017 INSPY Award nominations. Kristy holds a degree in Art History/Research Writing, and lives in Indiana with her husband and three sons, and can probably be bribed with a coconut mocha latte and a good read. To stay connected, visit www.kristycambron.com. I enjoyed this book. Historical fiction is probably one of my favorite genres to read. The book is kind of a time jump from the 1700's to modern day, covering the lives of three separate women. I enjoyed each character and their stories, however, I struggled to keep up with the characters jumping back and forth each time a new chapter began. I ended up opting to read each character's life separately, by jumping ahead a few chapter's, then going back and reading the next character. I did not have time to just sit and delve into the book as I would have liked, so this manner made it easier for me to keep up with each lady I was reading about and keep the story straight in my head. I also enjoyed the leading male characters, they were very heroic and appealing. I was drawn to this book because the cover is beautiful. I love the idea of castles, old world countries, and history. 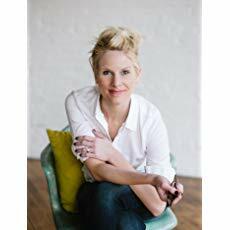 I think Kristy is a wonderful author, and I would definitely read more of her books. I was blessed with a copy of this book by the author and Celebrate Lit. I was not required to review this book in a positive manner and all opinions are my own. and Castle on the Rise (book 2)!! Great review. This sounds like a great read. I love the cover. Thanks for the chance.